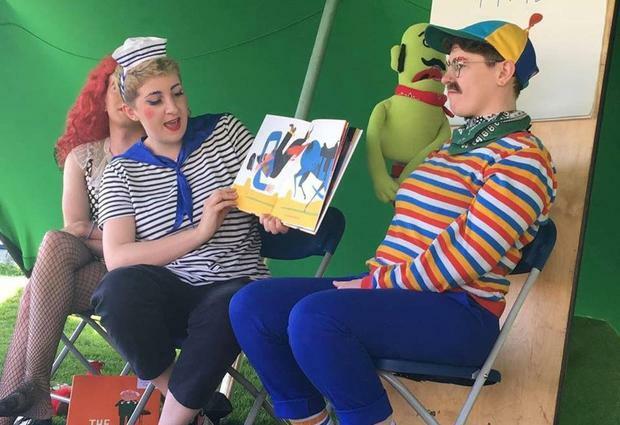 A story time event for children presented by drag performers has been cancelled after receiving a backlash from the public. Performance group Glitter Hole, a "DIY drag collective", was scheduled to deliver a storytelling event for children aged three to seven at Deansgrange Library, in Dublin. The event, which said it would provide families with "glamorous, positive and unabashedly queer role models", was due to take place as part of a summer series at the library on June 26. However the event was scrutinised on social media, with users calling for a review on the "age appropriateness" of the event. The drag group, which said it has performed the children's event three times before with an "entirely positive" response, said it was disappointed to hear of the cancellation. "It is with a heavy heart that I have to announce that our upcoming Drag Story Time event has been cancelled," a spokesperson for Glitter Hole said. "We were contacted by DLR (Dún Laoghaire-Rathdown) last month and asked to put on one of our drag storytelling performances to celebrate Pride and I wasn't aware that it had been announced by them yet." The spokesperson said they were subject to "extremely violent homophobia" on social media as a result, but they were determined to continue presenting the event. "Over the weekend we have been inundated with extremely violent homophobia from a frighteningly large group of bigots who believe that a few drag queens reading books to children amounts to child abuse. "The library decided that the event was a safety risk, which we accepted given the scale and gravity of the vitriol that was being spewed on Twitter." DLR library service posted a cancellation notice of the event on its website, citing a review of the age criteria as the reason behind the cancellation. However it later clarified the cancellation was due to "significant concern at the high level of degrading, inappropriate comments on social media about the performers and library staff".